Dr. Jon Sarver is ministry professional with over 30 years of experience in shepherding and developing leaders as a christian life coach in Los Angeles and offering Los Angeles business coaching services. Dr. Sarver has been known for evangelizing seekers in their unique cultural context, and equipping people for ministry in many different ministry environments. 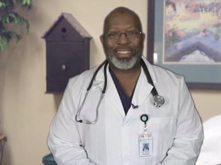 Dr. Sarver has shown proven success in developing the vision, motivating, spiritually equipping a volunteer base to reach the community through established outcomes and standards by means of outstanding Los Angeles based business coaching services. He is known in many ministry settings for the ability to work with denominations and church leaders in developing, implementing and measuring strategic ministry outcomes. Has a track record in fostering and encouraging spiritual growth across ministries and departments in particular as a christian life coach based in Los Angeles but geared towards serving the entire world. During the past several years Dr. Sarver has had the opportunity to plant a church based of the Biblical principles found in the Great Commandment (Matthew 22:36-40) and Great Commission (Matthew 28:18-20). 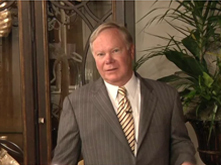 Dr. Sarver has taken the extensive ministry experience he accrued over the last 30 years as a Christian life coach and has developed a hybrid strategy based on Chet Holmes 12 core business strategies along with John Maxwell’s leadership training to bring you the best business coaching services available. Dr. Sarver started, developed and evaluated several organizations or ministries such as Celebrate Recovery for East vale Church, National Youth Speaker’s Association, South Central Kansas Youth for Christ, Center for Youth Ministry at Barclay College in Haviland, Kansas, Center for Youth Ministry at Azusa Pacific University, Azusa, Ca., LA Center for Ministry for Houston Graduate School of Theology, and Founder/Senior Pastor of East vale Church in Corona, Ca..The on-going evaluation helped in the spiritual growth, life change, community impact and success of these programs; many of which are still in existence today. He is a noted Christian life coach and has been active in driving his business coaching services division. Dr. Sarver is known as a leadership developer and has recruited students for Barclay College, Azusa Pacific University, and trained them for ministry assignments for South Central Kansas Youth for Christ and San Gabriel/Inland Valley Youth for Christ as an Executive Director in various communities. He preached eight week series “The Road to Recovery” for the purpose of developing interest and leaders for Celebrate Recovery program at East vale Church. He mentored and trained pastors on the Doctoral level for Houston Graduate School of Theology; Graduate and Undergraduate level at Azusa Pacific University. All of these assignments combined theory with practical ministry evaluation. He has served in local church as Executive Pastor and Interim Senior Pastor overseeing, developing and evaluating the effectiveness of all ministry programs. Additionally, he has trained, mentored and evaluated pastors in Moldova, Ukraine, and Russia on the implementation of church evaluation standards and saw many churches planted in those regions. All of this training has lead to leaders equipped to multiply themselves in service and leadership leading to more people receiving Christ as personal savior and serving Him in their local contexts. Mr. Sarver is an experienced ministry manager, has built and managed budgets in a variety of ministry settings from $30,000 to 1 million. He has managed ministry staffs from four to forty. He received outstanding evaluations from former Board of Director’s in ability to fiscally manage all types of organizations as well as from staff in ability to cast and complete “vision” and maintain staff unity and continued service. Trained, mentored and evaluated ministry students (over 150) in their professional environment according to set performance standards. Encourage and kept students accountable in spiritual development. Personally mentored many youth pastors and elementary education students through difficult ministry and marriage issues. First former Doctor of Ministry student to teach on a regular basis on the D. Min. level at Houston Graduate School of Theology. Developed and ensured ministry programs were in alignment with East vale Church purpose and mission which led to hundreds of changed lives in the East vale community. Established measurements and outcomes for all ministries which lead to clear measurement in how we were meeting the 5 purposes of East vale church. Bachelor of Arts in Speech Communication, California State Fullerton, Fullerton Ca. Masters of Christian Education, BIOLA University, La Mirada, CA.